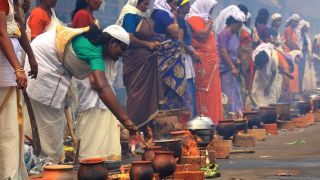 The Pongala festival is celebrated at the renowned Attukal Bhagavathi temple in Kerala's capital city of Thiruvananthapuram. The festival entered the Guinness records for being the largest single gathering of women for a religious activity. Pongala (literally means to boil over) is a ritualistic offering of a sweet dish consisting of rice porridge, sweet brown molasses, coconut gratings, nuts and raisins. Devotees offer pongala to appease the presiding deity of the temple - the Goddess - popularly known as Attukalamma. 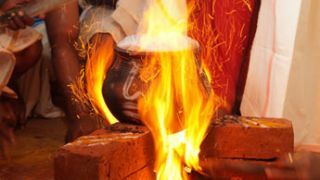 Only women are allowed to participate in the Pongala ritual. 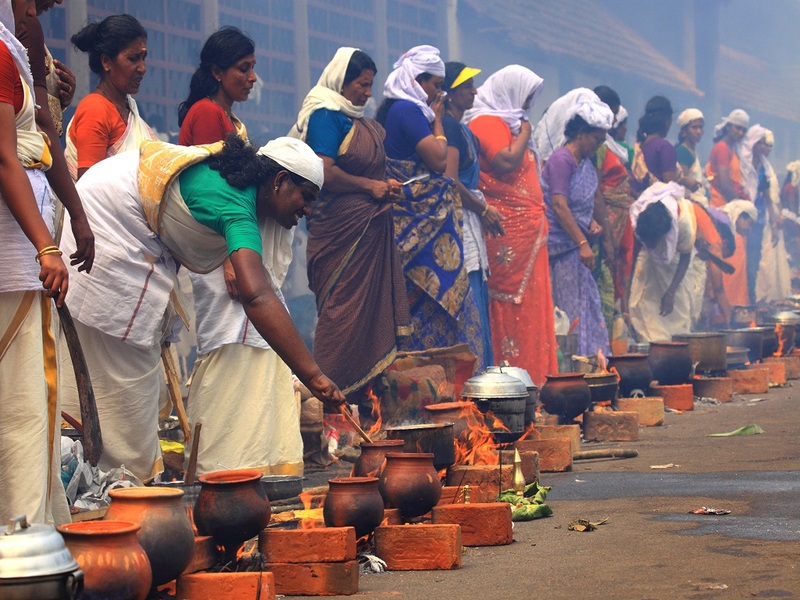 Right from the night before the Pongala day, thousands of women, regardless of religious faith, assemble at the temple premises and on either side of the roads leading to the shrine, to make the Pongala offering. 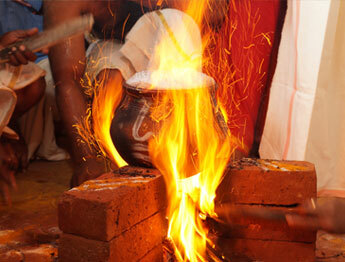 Devotees from across the country and even from abroad participate in the ritual.